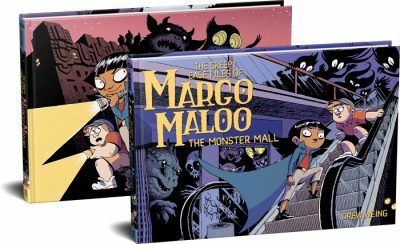 Three new pages of the Creepy Casefiles of Margo Maloo today! In which Thompson makes the best of a bad situation. I’m still figuring out my navigation setup, so if you’re visiting for the first time since last week, make sure you click back to page five. I might try moving to a more traditional 1-page-at-a-time update schedule, even though I feel like it reads better in larger chunks. What do you think? Several pages once a week, or one page several times a week? I read via RSS and the items all come in order for me, so I don’t really care one way or the other. I guess I like having multiple pages at once, though, since then I don’t need to keep track of as much to maintain context. At least whilst you’re getting the strip going, a chunk once a week might work better. Aw man, everyone who actually responded likes it better in chunks! Well, at least you can check in every week or two and read it that way.